Digital counter can be used for counting number/length/batch, position control of balers controlled by variable frequency motor, and measuring height, position and angle. 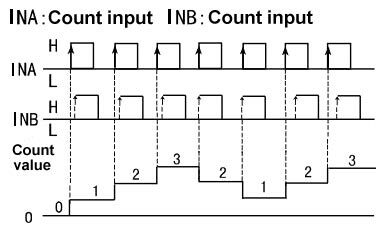 4 digit counter with up/down input modes can preset count value or length, and simultaneously display the total count, counting length and batch value in real time. 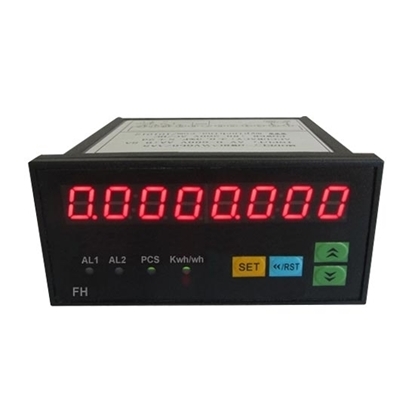 Digital counter is suitable for measuring the frequency, rotational speed, linear speed and flow of various types of control equipment. 4 digit counters can be customized as special test instrumentation for pulse width detection, duty ratio detection, etc. 6 digit counter can be used for counting number/length/batch, position control of balers controlled by variable frequency motor, and measuring height, position and angle. 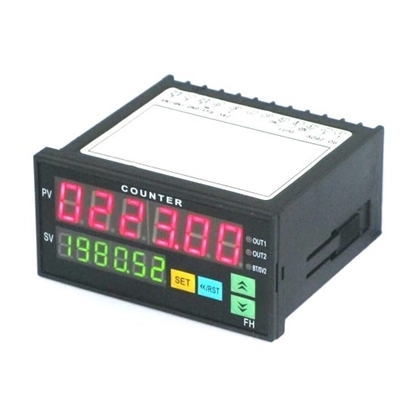 Digital counter with up/down input modes can preset count value or length, and simultaneously display the total count, counting length and batch value in real time. 8 digit counter can be used for counting number/length/batch, position control of balers controlled by variable frequency motor, and measuring height, position and angle. Digital counter with up/down input modes can preset count value or length, and simultaneously display the total count, counting length and batch value in real time. Through beam photoelectric sensor consists of a light projector and a light receiver, both of which are separated in structure. The supply voltage is DC 12V-24V or AC 110V-220V. Infrared photoelectric sensor can distinguish the opaque reflective object, with long effective detection distance 5/15/50m, less susceptible to interference, long life, and high reliability. 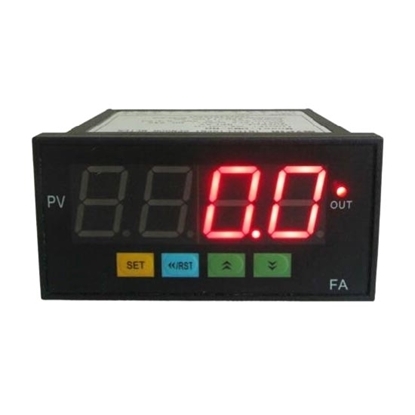 Digital counter has 4 digit display, 4 kinds of up/down input modes, DC 12V/24V external power supply. Digital counter accuracy: 0.01%, minimum resolution: 0.0001. Input/output signals photoelectric isolated, anti-interference ability. 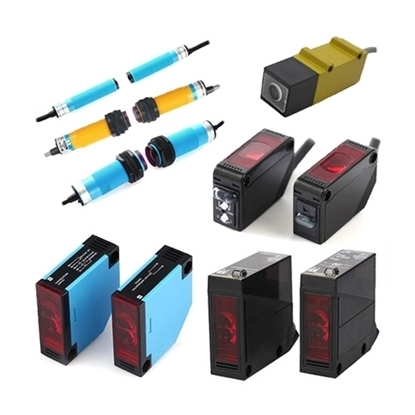 Input: 4 kinds of input modes, a variety of input signals, various waveform pulse, grating, proximity sensors, photoelectric sensors, contact switches, encoders, etc. (NPN, PNP). Output: 8 kinds of output modes to select, up to 3 segments control output, suitable for various control requirements. 4 digit display, has external power supply DC 12V/24V/30mA especially for sensor. Standard RS232 or RS485 MODBUS RTU communication, can be directly connected with computers, PLC or other equipments. INA counts up. INB is GATE function. 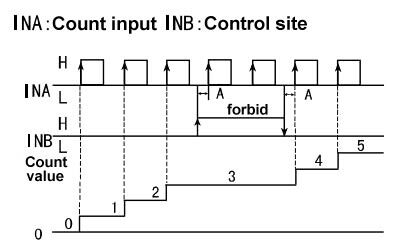 When INB is high level (or shorted with +12V), INA input is forbidden. INA counts up. INB is count-down control function. When INB is high level, INA turns count-up into count-down. INA counts up, INB counts down. 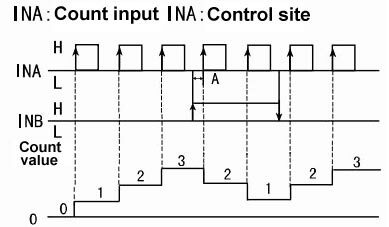 INA signal leads INB signal (count-up). INA signal lags INB signal (count-down). It is often used for encoder or grating input. In industrial production, it is often necessary to automatically count product quantity. Digital counters are the best choice. Digital counters have the advantages of visual display and accurate counting. It has several counting trigger modes, which are determined by the actual using condition and environment. 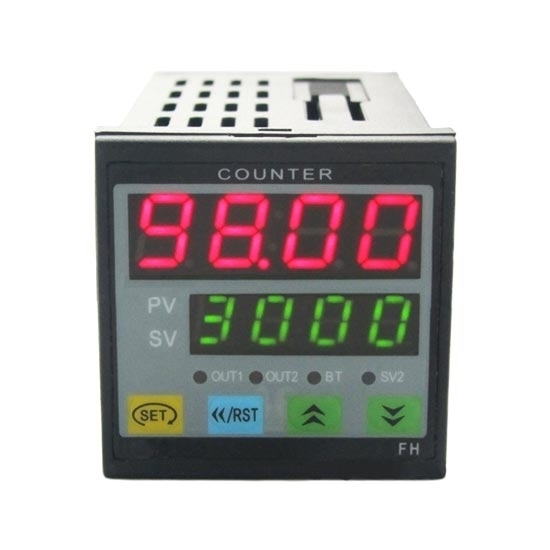 Digital counters are generally divided into contact counters and non-contact counters, of which non-contact counters with photoelectric sensor are most widely used. Counter with photoelectric sensor uses photoelectric sensor to form photoelectric gate, and counts objects passing through the photoelectric gate in real time. Digital counter can effectively control the number of packages in the production line through real-time monitoring, achieve automatic control, save labor costs, and efficiently complete production. In this video, ATO will show you how to wire a digital counter. 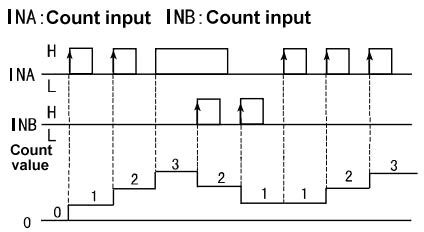 And how to set the basic parameters of digital counter. I use it to count revolutions for several weeks. It's still working well.